Stories from all over including Australia, Canada, Germany, Italy, Spain, Ireland, Netherlands, USA and the UK. There’s plenty of transitiony things going on in London. Some groups are taking a step back, others holding firm or coming into their own. One thing is obvious – transition has definitely ‘stuck’ in the city, though it’s not obvious how! Transition Network’s REconomy project needs you!!! Over 12 weeks we will identify amazing enterprises that collectively tell us the story of the new economy in all it’s stunning diversity. Click the link and tell us about the enterprises that inspire you. New Economics Foundation’s ’100 Months’ campaign today reaches its midway point. It was launched in August 2008 based on the understanding that the time that remains to us to avoid the likelihood of runaway climate change is limited, and based on the science at the time, there was closing window of opportunity to do something meaningful about it. 50 people were asked to write, in 50 words, their response to the question “so what needs to be done in the time we have left?” 50 words isn’t much… so they also asked 50 people including Rob Hopkins to write a longer, 400-word piece for the Guardian today on the theme of ‘The Climate Clock is Ticking. Normal isn’t Working. What Will You, and Should We, Do Differently? Rob Hopkins argues that this is a once-in-a-lifetime opportunity for entrepreneurship. Three years later our 1001st blog since starting This Low Carbon Life blog with a party. Just how dangerous is it to mix up contructed scarcities with geophysical scarcities when talking about how to build resilience into local communities? Day two: Degrowth, or alternatives to development? The Transition Companion provides 319 pages of wisdom (if you count the index) on the various stages of the Transition journey but only one of them is headed Pausing for Reflection. Making sure we talk about the beans and the tomatoes. You’re only as resilient as your neighbour. The prescription is that “if we act as communities, it might just be enough, just in time.” But we may not have time. How do we balance the gift economy versus the need for jobs? A true denizen of cardboard city causes us to question our own little cardboard future. It held a space for four plus days offering a little something for everybody: creative venue, amazing interpersonal experiences, practical knowledge, profound insights, synchronicities and incongruencies, proposals and critiques, Bacchanalian abandon, and an utterly depressing book reading. A successful event by any measure. One outcome was the formation of a young persons network. Communication is what brings those fragmented parts of ourselves and our world back together. I’ve travelled to the Arctic with Greenpeace, joining our ship – the Arctic Sunrise – to bear witness to the sea ice minimum; the moment each year when sea ice extent in the Arctic is at its lowest and we can measure how much we have lost, year on year. It might be harvest time, but our work is only just beginning. Tim put down his chainsaw and looked at me, and then at the head-high tangle that stretched unbroken and uphill for an unknown distance. « Do you really think it’s worth it? », he said. We were all a bit doubtful about the launch – was it even worth pushing a leaflet through the doors of all the local houses? We had a great launch of the Transition Free Press on the Friday evening of the Transition conference. We toasted our preview edition, celebrated with our contributors and readers and began to sign up initiatives to distribute for future editions. But now we need your help. Every great grass roots movement has had it’s media. We need ours. The Transition Free Press could be our national newspaper, our clear and powerful voice, spreading the word and growing our movement. For that to happen, we need at least 35 transition initiatives to sign up to distribute – just 35 out of 200 across the UK. Are you appalled by the mass media’s lack of coverage of Transition, positive new economic models, and the wider relocalisation movement? You can do something about it. It’s time to make a stand. Are you in? The Transition Free Press will be a vital communications tool and a fund raising tool for your group. If you’re committed to doing the grass roots work to build a resilient community where you live, then the Transition Free Press will be a valuable addition to your tool kit. And it’s a great read – 24 pages of informative, edgy news and analysis every quarter. The plan is for it to have a cover price of £1 (30p cost price) so you can sell for a fixed price, ask for donations, give away for free, as you wish. As well as a great read, the paper is an invaluable communications tool to have on hand at events. We will have a template for initiatives to add their own local and regional news and insert into the main paper. One of the highlights of this year’s Transition Conference cabaret was the screening of a documentary featuring people with words painted on their bodies – words that revealed something about them that would never be visible from the outside. This was In Your Own Skin, a multi-media social project by the artist and photographer, Katheryn Trenshaw, set to music by the singer, Juliette Russell. Transition Network announces a weekend workshop with Sophy Banks to be held in London on 26 – 27th January 2013. 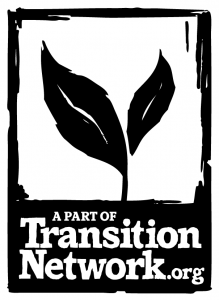 If you’re interested please email training@transitionnetwork.org and we’ll send you full details as they are available. From 2nd October (Gandhi’s Birth Anniversary), to 16th October (World Food Day) the Global Alliance for Seed Freedom is planning intensive actions to create a global citizens’ response on the issue of Seed Freedom that we hope will act as a wake up call for citizens and the government. Charles Eisenstein will be giving an afternoon and evening day workshop in London. Free community composting courses for growers of Local Food will soon be taking place across England. The courses which will be running during October and November are aimed at local not for profit organisations, community groups and social enterprises which are growing local fruit and vegetables and which wish to develop new or existing composting activity at their own sites. Are you breaking new ground in cutting CO2 emissions, energy efficiency and renewable energy generation? Are you changing behaviour and encouraging more sustainable forms of transport? If so, the Ashden Awards would like to hear from you. The closing date for applications is 30 October. What to do with this year’s bumper harvest of snails … snail soup?